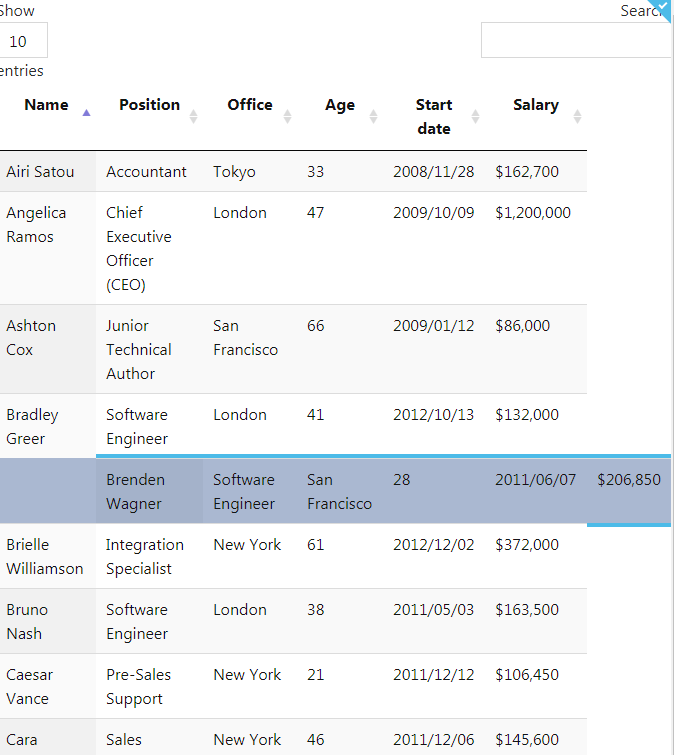 When using Metro UI and Datatables select, when a row is selected, it is shifted to the right by one column. That is forcing a block level element to be shown in a display: table-row element (i.e. that table row!) and is what is breaking the layout. I can see what that is being done to put a block around the selected item, but it doesn't work with table rows or cells I'm afraid. An outline would probably work, but either way it needs a change in Metro. If you post a bug report, could you link to it from here so we can keep track of any changes?